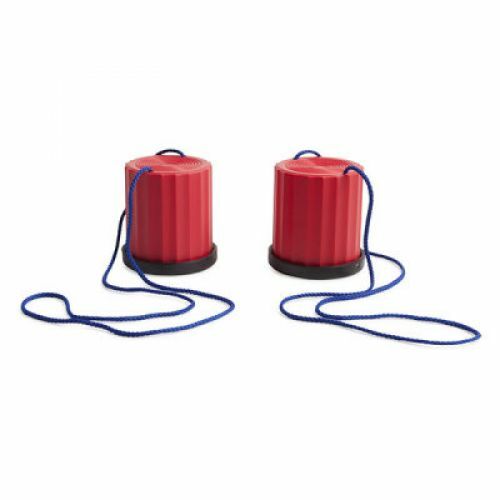 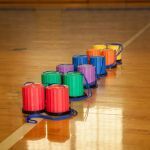 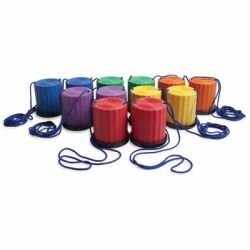 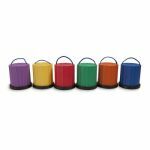 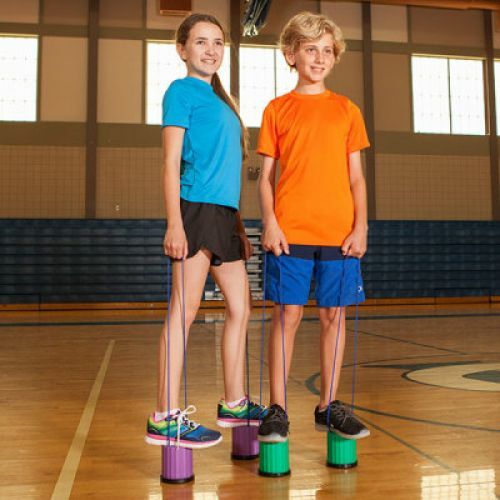 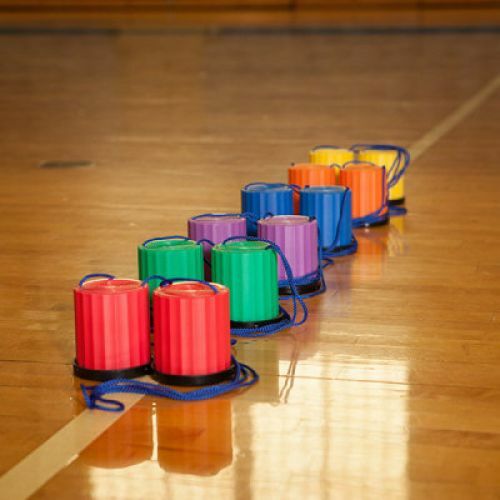 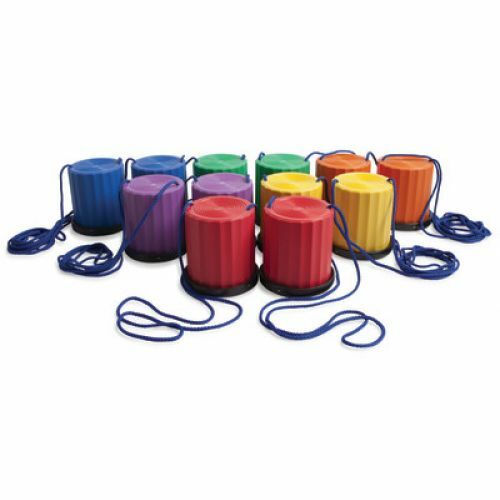 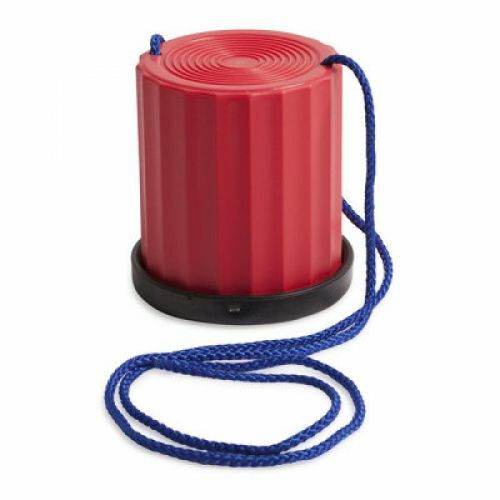 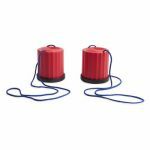 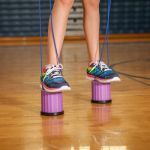 Learn to balance by using these plastic can-shaped stilts. Comes with adjustable hand cord and non-marring rubber base rim. 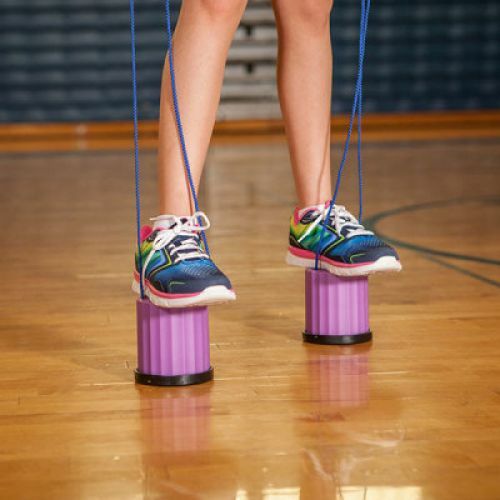 Supports up to 175 lbs. 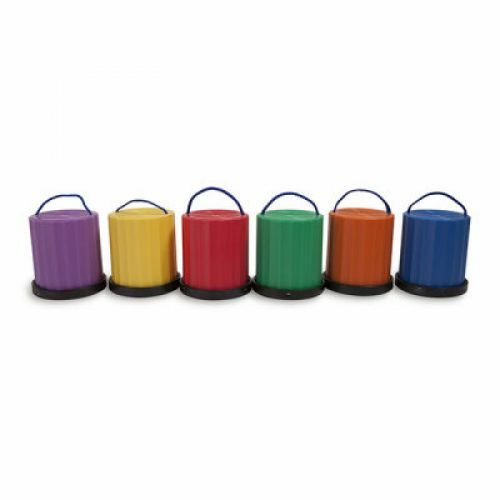 Set of 6 colors.